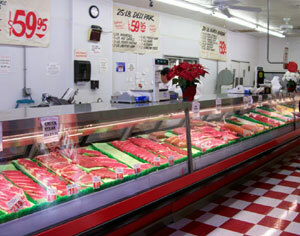 Renna's Meat Market is a family owned business that has been serving Central California from its base in Fresno since 1935. The Renna family has combined resources in 2003 with the Ohlberg family Meat Market that had been in business in Fresno since 1928. The combined experience of over 150 years including the recipes for the Italian and German sausage specialties that Renna's features positions it as one of California's finest Meat Markets. Now owner Joe Renna is offering the same sausages that have accumulated a following for nearly 8 decades in California to the rest of the world on the internet. 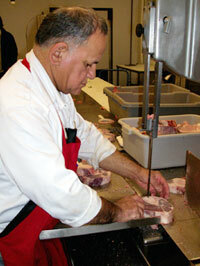 The German sausages are made by 3rd generation Mike Ohlberg. The Italian sausage was brought to this country by Joe's grandfather nearly 100 years ago. 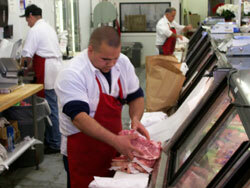 Renna's Meat Market offers the tastiest sausage and tri-tip available anywhere and now it's available to you.